According to Feeding America, beating the goal will serve only one meal for about 7 percent of the estimated 32,550 people who experience food insecurity in Dakota County. Minnesota FoodShare, which draws national statistics from the Chicago-based nonprofit Feeding America, wants parishes to become more aware of how much hunger still persists in the state with its annual March Campaign. “One in 10 Minnesotan households are experiencing food insecurity,” said Summer Anthony, Minnesota FoodShare program director. Anthony explained that “food insecurity” describes the situation of people not being able to access food consistently for a healthy lifestyle. She said the cause often stems from a lack of money or additional financial obligations. “Often, you’ll hear stories about how parents are … skipping a meal just to ensure that their children are eating,” Anthony said. Minnesota FoodShare is a program of the Greater Minneapolis Council of Churches, which includes Catholic parishes among its supporting institutions. 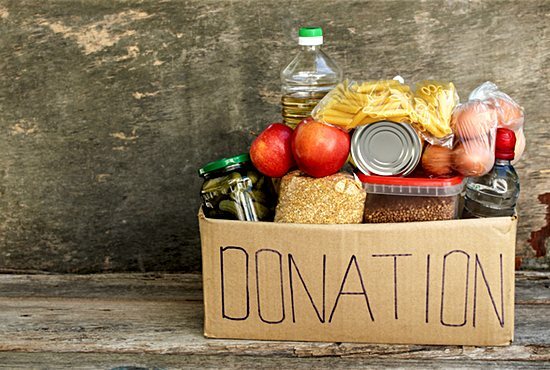 As a “food and fund drive,” the March Campaign aims to help churches and communities stock the state’s nearly 300 food shelves. Deacon Jim Marschall, who leads pastoral care and social justice at All Saints, hopes his parish’s participation in the March Campaign will serve as an opportunity for people to see hunger differently. He said the parish will use some of the informational resources provided by the March Campaign to educate people on hunger. Deacon Marschall also noted that seniors and children are the two main groups of people that food shelves serve in Minnesota. Anthony said 13.8 percent of children experience food insecurity. Overall, more than 3 million Minnesotans visit a food shelf annually, according to both Minnesota FoodShare and Hunger Solutions, a partnering organization in St. Paul. “When you think 3 million people visit our Minnesota food shelves in a year, that’s a lot of people,” said Vicki Bazille, pastoral minister for Immaculate Conception in Columbia Heights, noting that 552,000 Minnesotans experience food insecurity. Bazille leads Immaculate Conception’s participation in the March Campaign, serving the Southern Anoka Community Assistance food shelf in Columbia Heights. She also sees the need in her parish work. “It’s amazing how many people come and ask for food [resources],” Bazille said. Sophia Lenarz-Coy, associate director for Hunger Solutions, said food shelf visits passed 3 million during the Great Recession. She also noted that hunger has become a forgotten issue since that time. “Even though Minnesota’s economy has improved since then, food shelf visits have not dropped,” Lenarz-Coy said. Both Lenarz-Coy and Anthony said that food shelves across the state have been operating at maximum capacity. They also noted that food shelves alone can’t meet all of the needs. Bazille and Deacon Marschall understand that reality, too. The broader scope concerns Lenarz-Coy, as Congress has proposed diminishing its funding to the Supplemental Nutritional Assistance Program, a federal safety net program. Lenarz-Coy encourages Minnesotans to advocate for the hungry and contact state and federal representatives. Hunger Solutions is organizing advocacy at the State Capitol with Hunger Day on the Hill March 20, which Minnesota FoodShare supports. Minnesota FoodShare will also highlight the ongoing financial need for food shelves, a growing concern in recent years. Food shelves have faced strong competition from other nonprofits for donors’ dollars. Both Anthony and Lenarz-Coy said monetary food shelf donations are down. Bazille, who uses the March Campaign materials to educate parishioners, informs them of the benefits of offering cash donations to food shelves, because they can stretch a dollar further and buy items most needed.